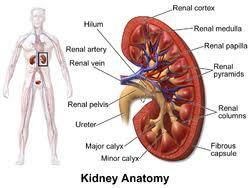 The excessive use of the removal of acetic acid affects the kidneys. Doctors prescribe medicines to the patient to avoid acidity. They also write medicines for chest burns. Let's say that many medicines have acidity from side effects. Due to eating these medicines for a long time, kidneys may worsen. The problem is that people take these medicines without the advice of a doctor. These drugs are common in Pan, Pan-D-Pentosid, Pentosid D.S.R., Pantop, Pantop D, Pentodac, Rajo, Rajo D, Omage, and Omage D.
Experts say that patients should not take acidity medicines without the doctor's advice. If the doctor prescribes the medicine of acidity, then ask him whether it is necessary to take medication? How long will it take for the medicine. Do not take long-term acidity medication. Do not take medicine when you become normal gas in the stomach. Do not take this medicine after eating it. Doctors say that acidity medication has an effect on blood. There is a lack of magnesium in the blood. This can have a bad effect on the kidney. Uncertainty occurs when there is acidity. In this case, it is necessary to take acidity medication, but for this the doctor should take the advice. To avoid acidity, take a healthy lifestyle. Do not eat more spicy food. Do not eat gas making food. Drink caffeinated drinks and drink more and more water.